Combine almond meal, dates, and spices in a food processor until the mix is crumbly. 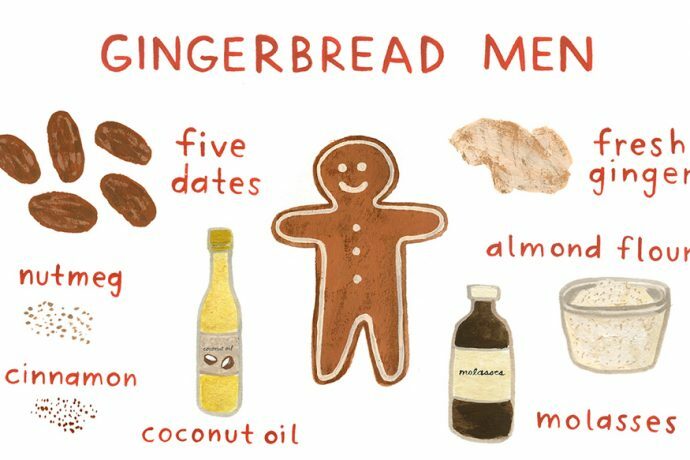 Add in coconut oil, molasses, vanilla, and flax egg. Blend until a combined ingredients make a soft dough. Flatten the dough between two pieces of wax paper, refrigerate for at least one hour until the dough firms up. Cut into shapes with a gingerbread man/woman cutter, and place cookies onto a parchment lined baking sheet. Bake at 300F until golden brown (about 30 minutes). Remove from oven and cool.